Astrology is a well-acclaimed and popular tradition in India which has quite a special place in their mind. It is the study of the positions as well as movements of the celestial bodies which have influence over the natural world and human affairs. It basically showcases how a life of a person will be by simply mapping the different positions of the planets at the specific time of her/his birth. It is a pretty interesting field, and there are some of the most famous astrologers In India, and here we have created a list of 10 best astrologers. He is considered to be among the best astrologers in India, and he is an astrologer for a lot of rich and famous people. His different articles have been published in different newspapers like New India (New York), the Sunday Times. He is the author of a wide range of books. Being a post graduate in economics as well as a law graduate, he used to practice law before getting into the field of astrology. He is the author of various books overseas as well as in India. He has a regular column in The Hindu Times for a considerable period of time where he has been writing about different national as well as international personalities. Among the most famous Jyotish in India, he has made several predictions in some of the leading newspapers in India such as The Times of India, The Hindustan Times. He also provides answers to the questions of general people in the newspaper The Hindustan Times. Being an expert Vedic astrologer, he was initiated into the field of astrology by his own mother. He is also the advisor of various astrology courses and doesn’t charge any fee for teaching astrology. He is psychic, palmist and only phonetic numerologist in India. He is the best selling author of the book named Numerology Made Easy published by the Penguin Books and also a columnist. He is also specialised in the remedial measure in palmistry and astrology. Before starting numerology as a hobby which became his passion, he was a finance broker. He is also known for the prediction of the results of one of the biggest blockbuster in Bollywood, Kaho Na Pyaar Hai. Owing to this, he has been sought out by many. Like his father, he is famous as astrology. He is the son of the widely known numerologist Bansilal M Jumaani. He felt his job as a marketing executive of 17 years and then followed the footsteps of his father to become famous numerologist in India. She is part of the family which is immersed in astrology. She is a future teller and also an ardent fan of her father, she studied numerology under the able guidance of her father. She is known for her popular prediction regarding the effects of the Mars planet as it moves much closer to the Earth which has been proven true. She is among the most famous astrologers in India and also a tarot card reader at the famed ITC Maurya Sheraton Hotel in New Delhi for over 20 years. She regularly writes a column for leading magazines on different subjects. She is also popular for healing by means of conducting individual and group readings. She is a healer, psychic reader and a tarot card reader. She helps clients in leading fulfilling lives with much more personal foresight and understanding. She is master in Kundli which she uses it more like a hobby rather than interest. 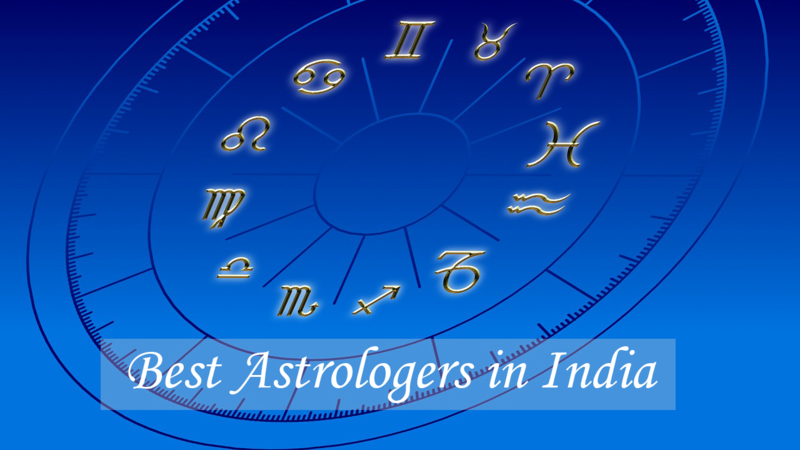 If you know any other astrologers who are worth mentioning in this list, kindly let us know in comments section below.